Do I Need to Wear a Knee Brace? The anterior cruciate ligament, or ACL, is one of four major ligaments in the knee. ACL tears may require surgical treatment to reconstruct the torn ligament. Many patients are given a knee brace after ACL reconstruction surgery. 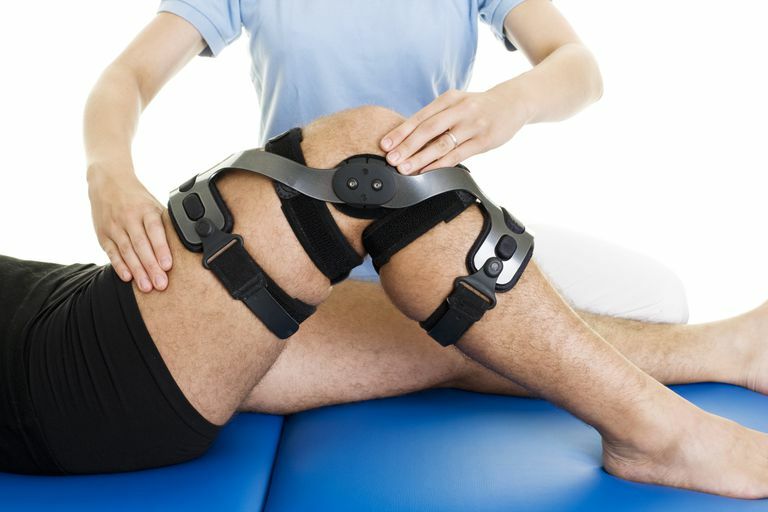 How necessary are the knee braces used after ACL reconstruction? What if I didn't get a knee brace after ACL reconstruction, should I be wearing a knee brace? In most cases, the answer is no. No study has clearly shown that post-operative knee braces protect the healing graft after an ACL reconstruction. In multiple studies, patients who have had ACL reconstruction surgery were given a knee brace and compared to patients who did not wear a knee brace. None of these studies were able to demonstrate any significant difference between these groups of patients. It is possible that we simply don't have a good enough test to detect a difference between these groups of patients. However, even if there is a small difference between patients who have a knee brace and those that do not, it is likely a very small difference. Therefore, whether or not you were given a knee brace after ACL reconstruction surgery depends more on surgeon preference than on scientific data. Many patients who return to high-level sports within a year of surgery will use a knee brace. No scientific data has shown that using a knee brace will prevent re-injury to the ACL. However, many patients may choose to wear a knee brace anyway. ACL braces are really designed for people with instability, or an insufficient ACL, not as a means to prevent injury to an ACL. The problem with knee braces? While they may help support the knee when low forces are applied, these forces would not be expected to cause injury to the reconstructed ACL. However, a force that is high enough to disrupt the reconstructed ACL would not be effectively stabilized by the knee brace. Despite this science, many athletes feel more comfortable wearing the knee brace upon returning to sports after an ACL reconstruction. The good news is, that there is really no harm in wearing a brace; therefore, if wearing a knee brace makes the athlete more comfortable, then it is probably appropriate. The athlete should just understand that wearing the brace does not change their likelihood of re-injuring the ACL. If you do choose to wear a knee brace during athletic competition, be sure this is a knee brace prescribed by your doctor. Over-the-counter, drug store knee braces are not intended to be used in this type of setting. Also, be sure your doctor inspects the fit of your knee brace and adjusts it appropriately. While knee braces may not offer significant support to the knee, they will offer no support if they are not properly fit to you. Wright RW and Fetzer GB, "Bracing after ACL reconstruction: a systematic review" Clin Orthop Relat Res. 2007 Feb;455:162-8. Griffin LY, et al. "Noncontact Anterior Cruciate Ligament Injuries: Risk Factors and Prevention Strategies" J. Am. Acad. Ortho. Surg., May/June 2000; 8: 141 - 150.